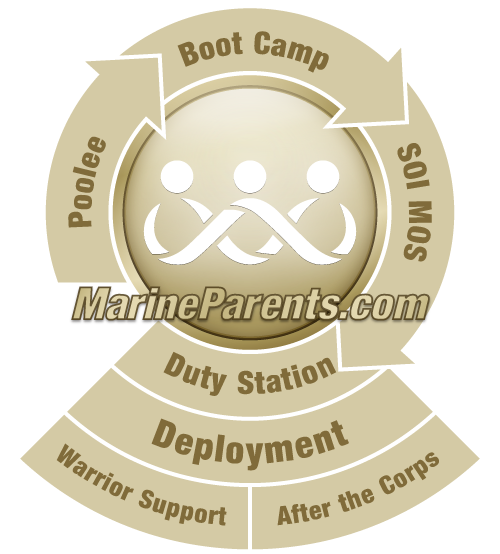 There are a few different paths to becoming a Marine Corps officer. One path is to attend a 4 year college/National Reserve Officer Training Corps (NROTC). They can attend the U.S. Naval Academy, or they can go from an enlisted Marine to an officer. For 4 year universities there are two different paths you can take to become an officer. One path is you can take part in the NROTC while at your university. While earning your degree you will receive a military education and participate in Marine Corps training courses. After you successfully earn your bachelor's degree and complete the required Marine Corps courses and training requirements you will be commissioned as a Marine officer. The other option is to attend Officer Candidate School (OCS). The mission of OCS is to train, screen and evaluate candidates, who must show high leadership potential and commitment. Regardless of the which route is taken, after being commissioned you will attend The Basic School (TBS). While at TBS newly commissioned officers will learn basic tactics of an Infantry Platoon Commander and develop their leadership and knowledge of the Marine Corps. After completion of TBS, Marine officers will be assigned their Military Occupational Specialty (MOS). They will be assigned either a Ground MOS, Air MOS or Law MOS based on the needs of the Marine Corps. To enroll in the U.S. Naval Academy (USNA), students must receive a nomination from a member of Congress or the President of the United States. USNA students hold the rank of midshipmen. Training consists of Plebe Summer, seven weeks of physical training, naval education and moral and ethical development. Upon graduation, you will be commissioned as a Marine officer. Just the same as with 4 year college/NROTC, following their commissioning, Marine officers will attend TBS. Following completion of TBS, they will be assigned their MOS. The final option in becoming an officer is to switch from an enlisted Marine to an officer. There are two different ways this can be accomplished, one for active duty Marines and one for reservist Marines. Active Duty: First for active duty Marines who possess a bachelor's degree and show exceptional leadership skills can talk to their chain of command about the Enlisted Commissioning Program (ECP). The ECP allows qualified enlisted Marines to apply for assignment to OCS and receive their commission. For enlisted Marines who do not possess a bachelor's degree they may take part in the Marine Corps Enlisted Commissioning Program (MECEP). MECEP offers qualified, active duty enlisted Marines the opportunity to go to a 4 year college full time, while maintaining their active duty status and pay. After completion of OCS the Marine will be commissioned as an officer. After that they will attend The Basic School and then be assigned their MOS. Reservist: Reservists will have a similar path to active duty but with different names for their programs. 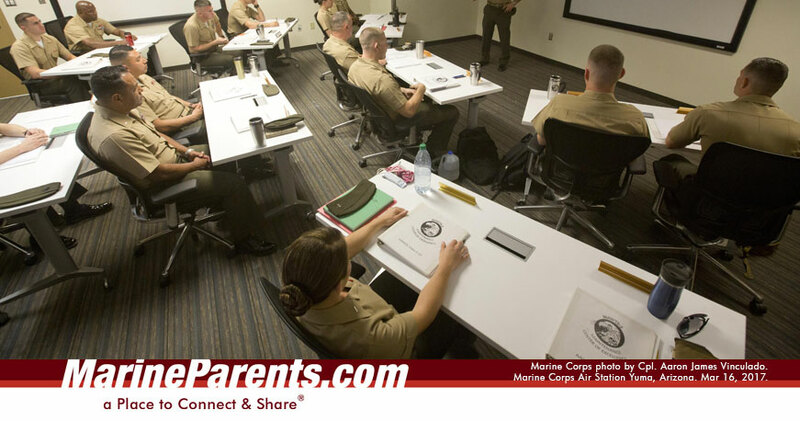 First, if a Marine reservist possesses a bachelor's degree they will approach their chain of command about their eligibility for the Reserve Enlisted Commissioning Program (RECP). This program allows qualified Marines in the Select Marine Corps Reserve Program (SMCR) to apply for assignment to OCS. Second, if a Marine reservist does not possess a bachelor's degree they will have to talk to their chain of command about the Meritorious Commissioning Program Reserve (MCP-R). This program allows Commanding Officers to nominate qualified Enlisted Marines in the Marine Corps Active Reserve (AR), for assignment into OCS. After completion of OCS the Marine will be commissioned as an officer. Afterward they will attend The Basic School and then be assigned their MOS.